Bali is quiet today. It is Nyepi, the first day of the New Year, and it is a day of mandatory rest and meditation. We are not allowed outside our flat–if we are caught on the street we’ll be firmly escorted back inside. We must stay very quiet and not indulge in any way, or we’ll catch the attention of demons that are currently flying over Bali. If we are quiet enough they’ll shove on and not stop to wreak havoc. There are no flights in or out of Bali today. Silence. Yesterday, however, was a glorious racket as Ogoh Ogoh were paraded down the street at sunset, twirled around and “confused” at intersections, then burned down at the seaside. Over the past week we’ve been peeping inside of temples to look at the in-progress Ogoh Ogoh as they were carefully built over metal frames. As we stood watching while the young single women of the neighborhood encircled the crossroads, holding torches toward the center, and the young single men of the neighborhood paraded into the center, playing drums and melodic reong–pot-shaped gongs, the ceremony felt timeless, foreign, yet had a spiritual resonance as well. It was invented in the 1980s. I was ambivalent when I heard of the recent manufacture of the Ogoh Ogoh parade–it seemed typical of the kind of trap you can fall into with Orientalist thinking. Bali is so mystical, the people are so nice, they value spirituality, aren’t their ancient ceremonies so quaint and romantic? Still, I love a good procession and it reminded me of the Day of the Dead, another parade that celebrates the liminal and otherworldly. The materiality of Ogoh Ogoh is interesting; though some Ogoh Ogoh are very small, they rapidly become very elaborate, with an emphasis on the grotesque. Many go to great lengths to make the Ogoh Ogoh appear to be flying, with very little attaching the demon to the underlying bamboo structure that young men use to carry it. There are lights installed to light up their faces, and some have heavy metal music blaring from their bases. Many Ogoh Ogoh have pendulous, veiny breasts representing Rangda the demon queen. Some are painted, some are meticulously airbrushed, and I have heard that some of them are sold instead of burned at the end of the night. The Ogoh Ogoh and their young male handlers process to the beach, where they gleefully tear off the heads of their creations, then set fire to the demons that they carried through the streets. The Ogoh Ogoh were once made of paper mache, but now they are mostly polystyrene and the great gouts of black smoke made it impossible to breathe. The crowds dispersed before the fire had gone out. And today, Bali is quiet. Very interesting and well written also. I love learning about other cultures. Thank you, and thanks also for commenting! It is nice to see stories about different parts of the world. What nice pictures! I bet it is interesting to see the whole island basically transforms into a ghost town after this kind of celebration. 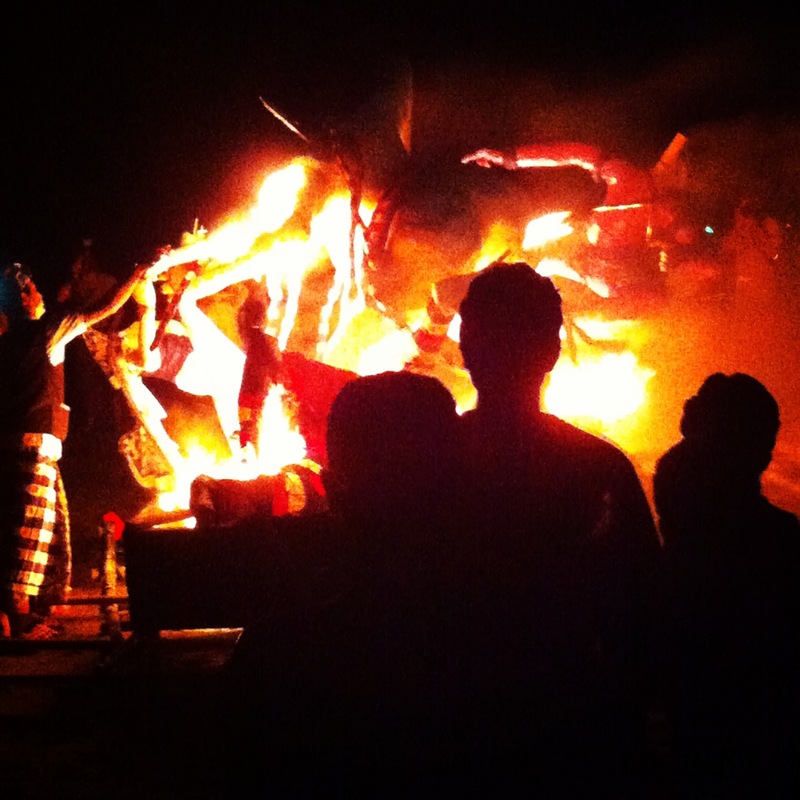 Do you think you will go back next year and be part of the traditional Ogoh Ogoh? I probably will not be back next year, sadly, but I would love to see it again! Having demons flying around outside is a fine enough excuse, I suppose, though I’m not sure why it happens more at one time than another. And then you have all that colorful catharsis. Maybe 1980s is ancient enough, after all. I love this, maybe even for our own New Years. Bring it on! I know, I kept thinking that it was pretty much the perfect holiday–and would be totally unthinkable in the States. Think of all the lawsuits from people not being allowed to go outside! Wow. It was really nice to know of this… and what a great way to ring in the new year. I am sure all of us could do with a day of rest and meditation. Nicely covered, enjoyed the information. Grotesque indeed.. but somehow so gorgeously grotesque! Om swastiastu from Ubud… hope your Nyepi was as astonishingly peaceful as mine was – and did you see those STARS?! It was a little cloudy down here in Canggu, but still lovely! We were going to head up to Ubud today, but it’s just hammering down with rain. Cheers! Great post. I loved the photos and the way you related the whole ritual. I hope I get to see it, someday! Congratulations on being Freshly Pressed. 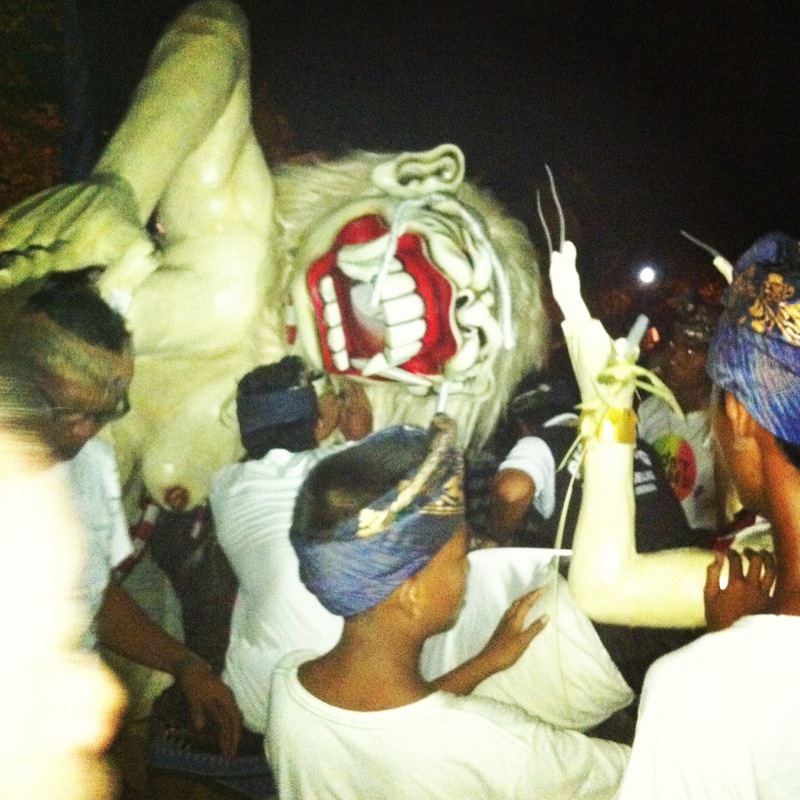 Wow, this is a great post about the Balinese culture – my own culture. Sometimes it saddens me that I have grown up overseas so I have never been able to experience these (certain) festivities and traditions. We did observe Nyepi here at home but it still isn’t the same. I think you may even know more about my culture/religion than I do! Haha thanks for sharing such a wonderful post and educating people around the world about another part of Bali :) By the way, those Ogoh Ogoh are definitely the stuff of nightmares! 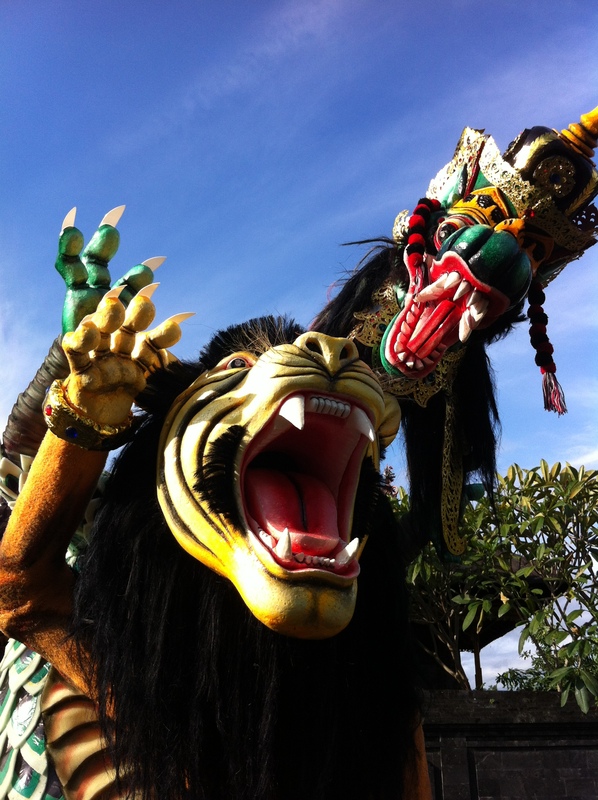 Rangda’s have always scared me since I was a little girl! I sincerely doubt I know more about your culture! Rangda is a fascinating figure and very scary. Thank you very much for your comment! Great post. So nice to see an anthropologist being freshly pressed. Great post and cool pics! That first picture is fabulous. What creepy figures! Thanks! Aren’t they interesting? Thanks for your comment! Wild. A friend of mine was in Bali right before this happened. Crazy that you can’t even go outside! Great photos. Amazing post and fantastic photos! This is my first encounter reading about the Ogoh Ogoh tradition despite having completed a diploma in archaeology! Great work! I went there but no change to take a look at the parade. What a great post! Well done! Reblogged this on A PHOENIX AMONGST HUMANS. Reblogged this on Ethnographic materials ML. Thank you for sharing! Fabulous. I was there. Amazing, & nicely captured!